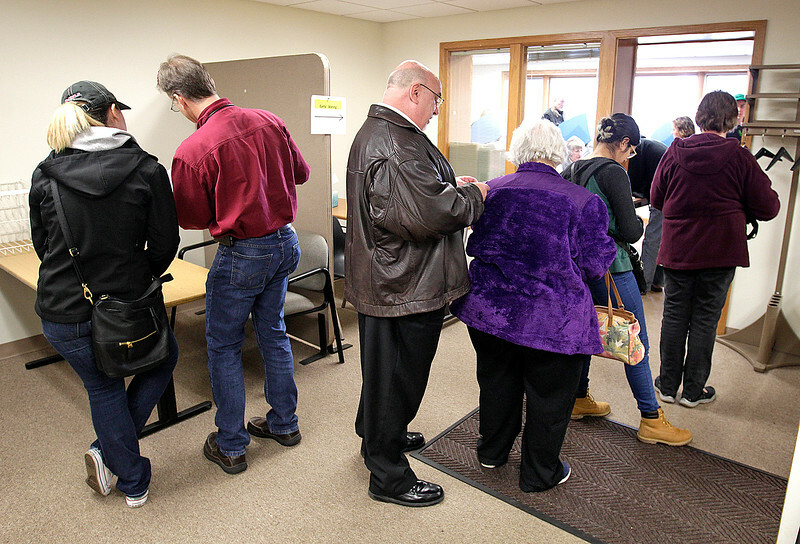 H. Rick Bamman - hbamman@shawmedia.com Early voters stand in line before voting at the Algonquin Township offices in Crystal Lake on Monday, March 14, 2016. 1526 early votes were cast between February 29 and March 14. 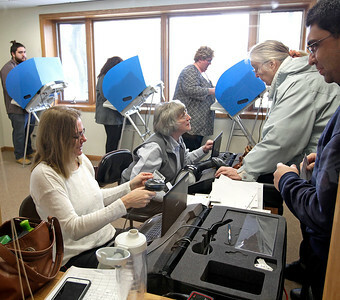 H. Rick Bamman - hbamman@shawmedia.com Election Judges Lisa Schultz (left seated) and Cathrine (cq) Williams assist some of the 1526 early voters that cast their ballots over the past two weeks at the Algonquin Township offices in Crystal Lake on Tuesday, March 14, 2016. Monday was the last day of early voting. 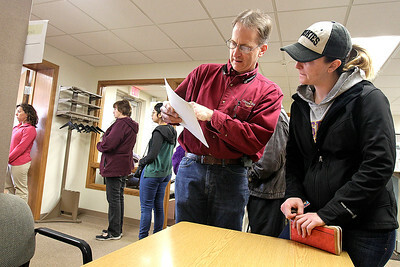 H. Rick Bamman - hbamman@shawmedia.com Early voters stand in line as Mark Rainey and daughter Amanda study a sample ballot before voting at the Algonquin Township offices in Crystal Lake on Monday, March 14, 2016. 1526 early votes were cast between February 29 and March 14. Early voters stand in line before voting at the Algonquin Township offices in Crystal Lake on Monday, March 14, 2016. 1526 early votes were cast between February 29 and March 14.